JAY: This puzzle is the fourth collaboration between Dan Kantor and myself, and as it just so happens, the third that has a restaurant and/or food theme. My last solo puzzle had a dairy theme, and the next collaboration we have scheduled to run is—spoiler alert— food related as well. In the case of PULLED PORK, I don't know that we consciously set out to do another food themed puzzle or that we started with the words "pulled pork." I think the idea came more from wanting to construct a puzzle where a particular word's letters were stretched, broken, split or pulled apart. I will say that each time we receive payment for one of our collaborations, we use the money to have a nice dinner out with our wives. And now that the NYT has raised the price it pays constructors, we can even splurge a bit. At any rate, I'm suddenly hungry. Not a huge fan of PIN ONES EARS BACK or PHONE PRANK, though. I had to look up the former, and it does seem legit, but I doubt I'd personally ever use it in writing or conversation. And PRANK CALL is so much more awesome than PHONE PRANK, which feels a bit dictionary-ish. Finally, mixing YOUR and ONES felt inelegant. Typically Will prefers the ONES usage to YOUR in these types of phrases, but PUSH ONES LUCK would have missed the R in PORK. Hilarious SOS clue. [Message spelled out in coconuts, maybe] brought me back to my days of watching Gilligan's Island. Anyone remember the time when astronauts were going to pass over the island and the castaways formed SOS out of logs, only to have Gilligan mess things up so they spelled SOL? Sure was nice for Sol, one of the astronauts ... not so much for any potential rescue. Gilligan! 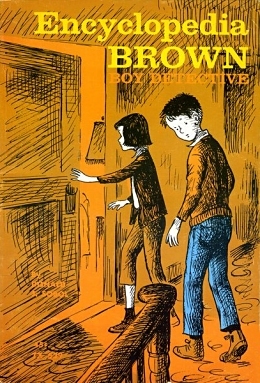 Also enjoyed getting MEANY in the grid, although it's because I've been reading "Encyclopedia Brown" to my nephew. Bugs MEANY makes for such a classic bad guy. Not an easy layout, with five longish theme answers. Not a surprise to see some gluey entries pop up throughout. I usually try to stay away from OH TO (awkward plural) and SMIT (anything requiring "old-style" in the clue). Considering the repetitiveness of the circled letters, perhaps four themers would have been better, allowing for cleaner fill. On that note, after getting the first two themers, it was automatic to fill in the circles in the last two themers — a bit anticlimatic. Would have been nice to get more variety. Pulled RANK, AWAY, OUT maybe?